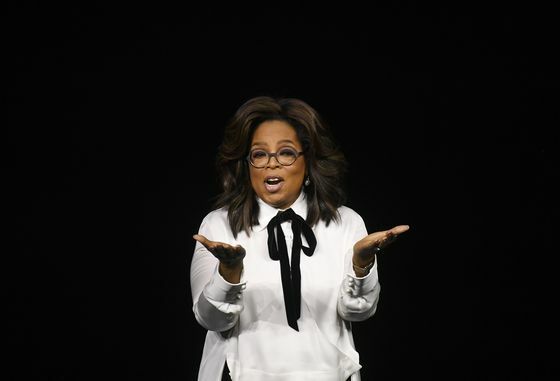 (Bloomberg) -- “The Apple platform allows me to do what I do in a whole new way, to take it to the next level, ” Oprah Winfrey said at Apple Inc.’s event Monday. “They are in a billion pockets y’all." She discussed two documentaries: one on sexual harassment in the workplace and the other about mental health. For more on Apple Event to Unveil Video, News Services, click here for our TOPLive blog.